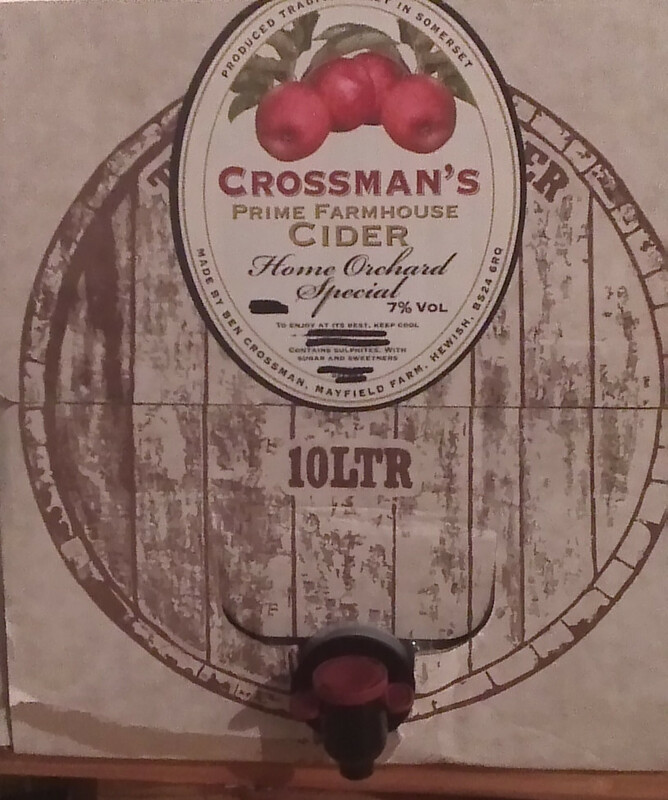 My pal Mike got hold of a 10 litre box of Crossman’s prime farmhouse cider for me a while back. I am only now getting round to reviewing it. My tardiness may perhaps be related to having a such large supply of cider available constantly. Ben Crossman took up cidermaking in the late seventies, using equipment inherited from his grandfather, also a Someset cidermaker. The cider is made in the traditional way, and stored in oak barrels, some of which are up to 100 years old. Several varieties are available: 6% sweet, medium and dry and a 7% home orchard special, which was the variety I sampled. The cider was a pleasing light straw colour, with very little bubble action when pouring from the box. The taste was fairly muscular, a little on the sour side, with a nice acidic bite and a good strong tannin afterburn — perhaps related to being stored in those old barrels. Overall I found Crossman’s highly enjoyable, and would thoroughly recommend it to anyone who enjoys a proper West Country cider.